We are an Eco-Friendly, full service flat roofing company specializing in installation of Cool Roofing systems for a wide range of Residential and Commercial roofing projects. We carry all necessary General Liability and Worker’s Compensation Insurances, OSHA certifications, and are a Licensed IB Roof installer. We offer a complete-package roof installation service, from pulling all necessary building permits, to coordinating with other contractors and service providers (such as utility companies, architects, etc.) involved in your roofing project. We specialize in Energy-Efficient flat roofing solutions for Residential flat roofs and Commercial / Restaurant flat roofs. We strive to provide our customers, with Eco-Friendly roofing solutions that are recyclable, and will help you conserve energy, as well as benefit environment. Our installers and roof mechanics work safely, wear all necessary safety equipment and use state of the art installation tools and equipment. We pay top wages, and provide premium workmanship and services. For flat and low-slope roofing applications, we exclusively install IB Cool roofing single-ply membranes with up-to 25 years Commercial and Lifetime Residential warranties. While a standard labor warranty in the roofing industry (a minimum required by law) is the 2-year period, all our roof installations include a Labor warranty that matches the material warranty (i.e., 80-mil IB membrane has a 25 year material warranty, which we match with our 25-year labor warranty). CoolFlatRoof Quality Promise: We are so confident in the quality of IB roofing systems and our installation, that we guarantee our roofs against any leaks. If the roof we installed ever leaks due to installation error, not only will we fix it, but we will also give you a check for $250. We offer roofing consultation services which include a complete analysis of your present roof condition, inspection of structural components, roof deck and roof insulation. We analyze your roof’s drainage situation, and identify whether you may need more insulation, drains / scupper, or other roof components installed to improve your roof’s performance and extend its service life. We will provide you with a complete report of what has to be done on your roof, and identify parts you may not need. 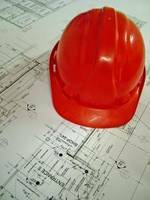 We can also negotiate with your General Contractor and/or Architect on your behalf, to get you the right products/services, while including needed items, and eliminating unnecessary and costly ones. This will prevent future “change orders” and up-charges from your GC / Architect / Contractor, and save you money and frustration. When your flat roof begins to leak, the process is irreversible, and the sooner you start to deal with these issues, the less you will have to spend on repairs and roof replacement. For your convenience, we created a series of roofing guides that will help you choose the best solution for your flat roof and provide you with information that many roofing contractors and manufacturers do not want you to know. Check out our Do-It-Yourself Guides for rubber roof repair and tar & gravel roof repair for immediate steps you can take to temporarily stop roof leaks, until you can perform a complete re-roof. You can also read our comprehensive Flat Roof Repair Guide to gain insight into issues associated with leaks, costs involved in repair, and ways to minimize your expenses. Discover different types of flat roofing materials and choose the best roofing product for your home or business. It is a shame that in the 21st century many roofing contractors still use 19th century roofing technology, which is inferior, inefficient and cost you more than a modern single-ply roof. Learn about different single-ply flat roofing systems and compare them to IB Roofs, the leading manufacturer of long-lasting cool flat roofing products. Compare the two leading single-ply cool roofing products in our PVC vs. TPO roofing guide. I want to make sure that my roofing is done properly. I didn’t know that flat roofing could be so nice! I’ll make sure that I have a professional do a consultation.